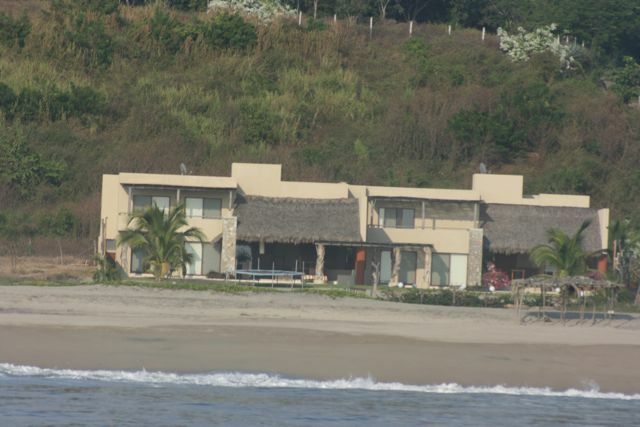 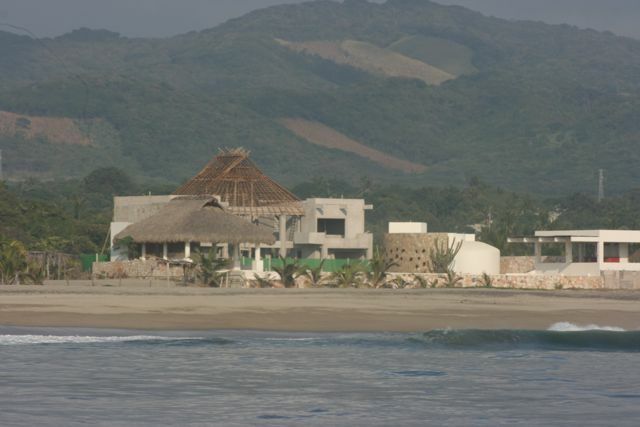 Vacation homes are also being built on the south side of the Punta in the Barra de Colotepec, as well as further down the coast in Los Naranjos, Neptuno and Cumaná. 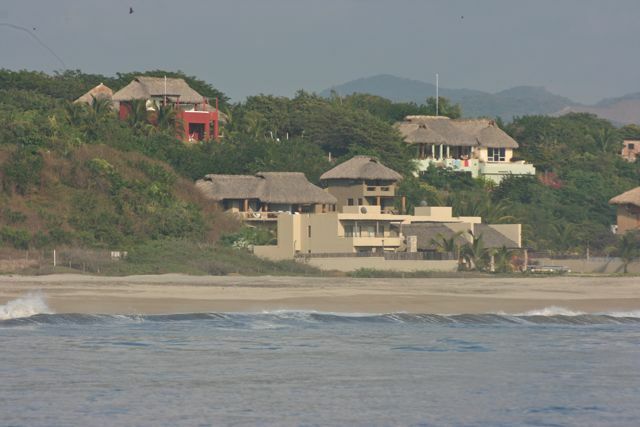 According to Factotum architect Alfonso Suárez Medrano Beltrán who has designed some of the houses in the Barra, single-family houses, which are only occupied a few months of the year, are the best protection against the over-development of the coast. 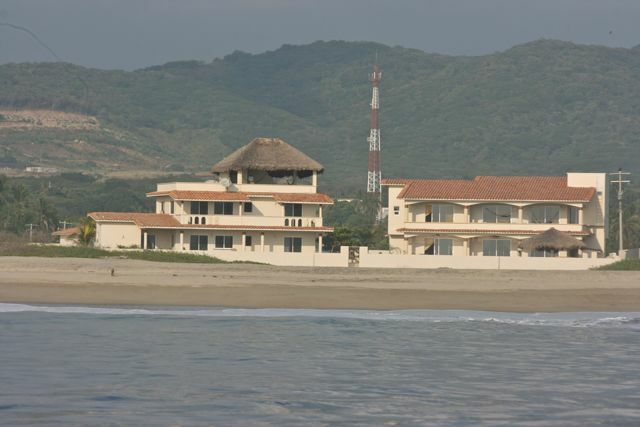 He sees them as a shield against high-density resort hotels and apartments, which would strain the local infrastructure and might have serious consequences for the environment.